"Steps for Making Your Office Completely Paperless"
Organizations are realizing that the paper document is an ineffective and expensive method to manage the information. Hence, they have begun switching over to electronic document management systems for making the office completely paperless. Consider downloading this free whitepaper which assists modern businesses in making the difficult switch from paper to electronic document management systems. What are the reasons to turn to a paperless business? What are the benefits of switching to a paperless office? 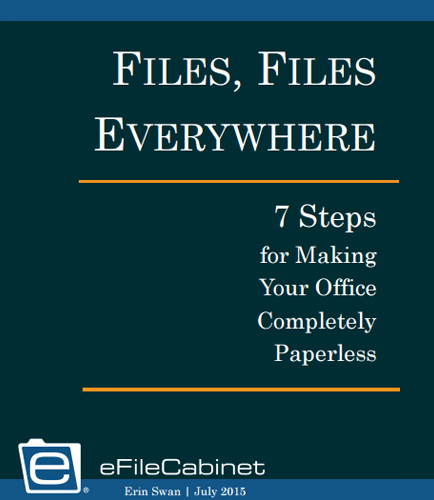 How to make the office completely paperless? How to switch from physical document processes to paperless information management systems? What are the challenges faced by the firms in the transition process to a paperless office?